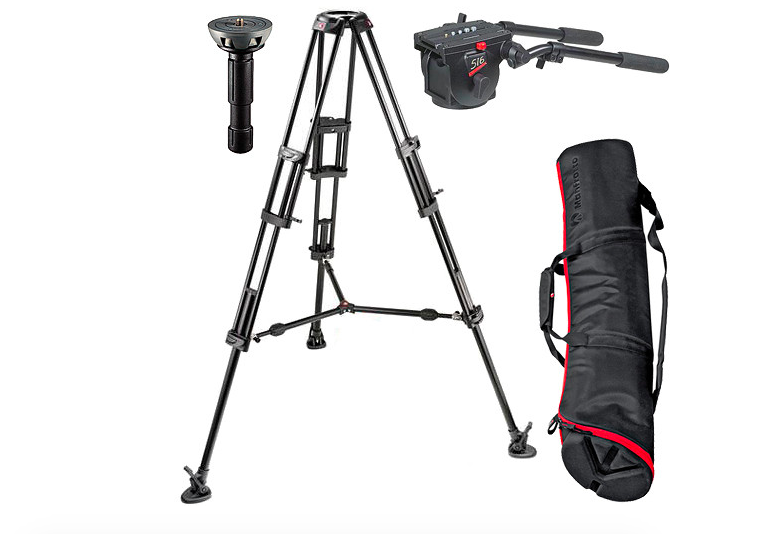 The Manfrotto 526 Pro Fluid Head w/545B Aluminum Tripod Kit is a professional video tripod system for camcorders weighing up to 22 lbs (10kg). 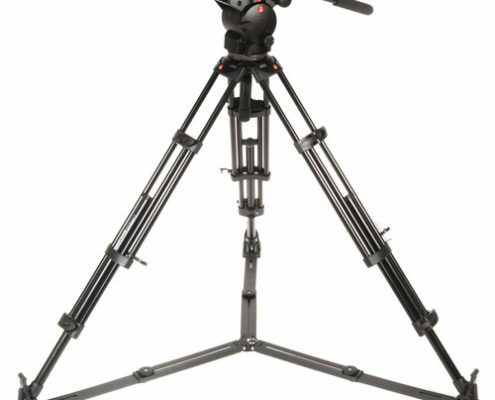 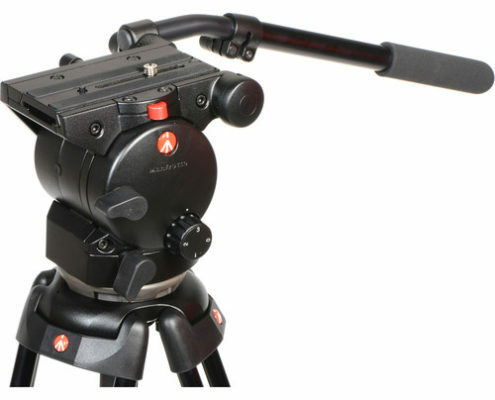 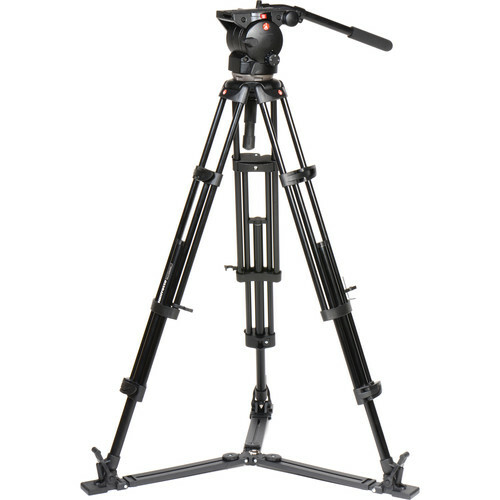 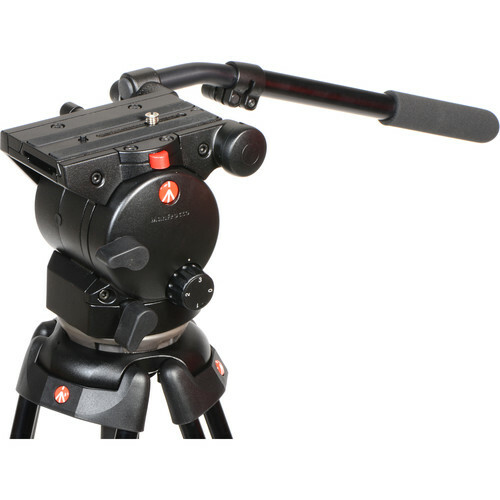 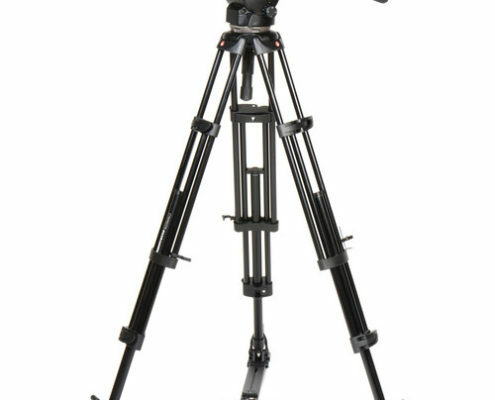 This Tripod kit features the 526 Pro Fluid Head, a quick-leveling 75mm ball, and the 545B two-stage aluminum video tripod. 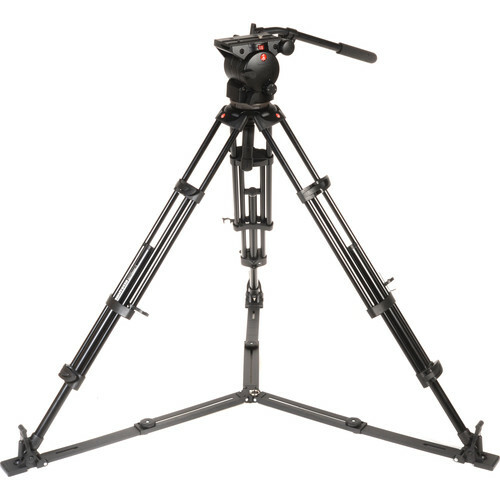 Along with its great torsional rigidity, the tripod includes an adjustable mid-level spreader for increased stability. 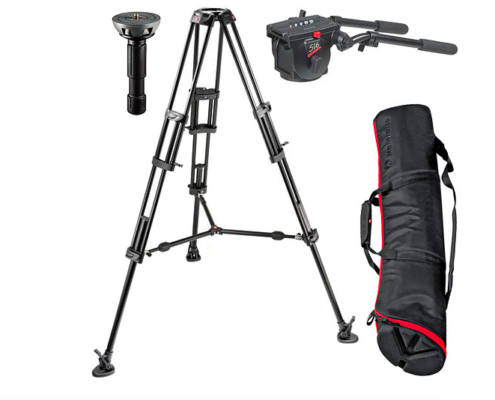 A padded tripod bag rounds out the kit, for easy transport to and from locations.